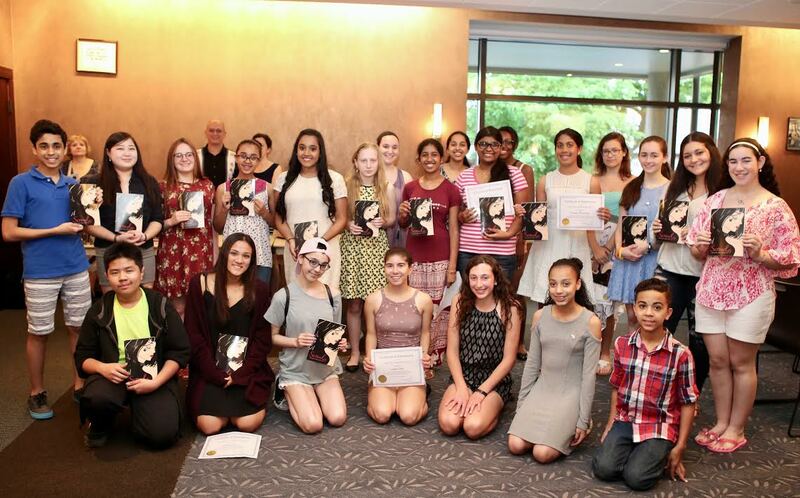 The Library Association of Rockland County is proud to announce that on Friday, May 19, 2017 friends and family gathered at the Nyack Library to celebrate the 35 teen authors and artists included in Scrawl: Rockland Teens Write 2017. Guest editors JG Faherty, Carolyn MacCullough, and Abby Sher were present to sign books and talk to the teens. County Legislator Laurie Santulli addressed the crowd and provided certificates of accomplishment for each teen. The Scrawl project began in 2015 and led to the 2016 publication of the first edition. Now in its second year, Scrawl earned the Young Adults Write Now endowment from the Horror Writers Association, which when combined with LARC’s funds allowed for a larger print run. Scrawl 2017 and remainders of Scrawl 2016 will be sold at this year’s ValCon in July.